We here at Hobart Assembly are committed to making the Great Commission, OUR COMMISSION. Last year, our church invested over $100,000 in local and foreign missions and this year we will do even more! We are very active in our community and we host several community events each year with the goal of making Jesus famous all around us. In addition, we make it a top priority to train and activate our members into ministry. Hobart Assembly has many outreach-based ministries and these ministries are expanding and growing all the time. From street witnessing to nursing home ministries; from feeding the poor to providing clothing to people living on the streets - there is something here for you to get involved in. Reaching our communities with the love of God and the life-changing message of the Gospel is a major part of who we are. We love our city and we strive to do whatever we can to build bridges with those who are hurting most to let them know that Jesus is there for them. 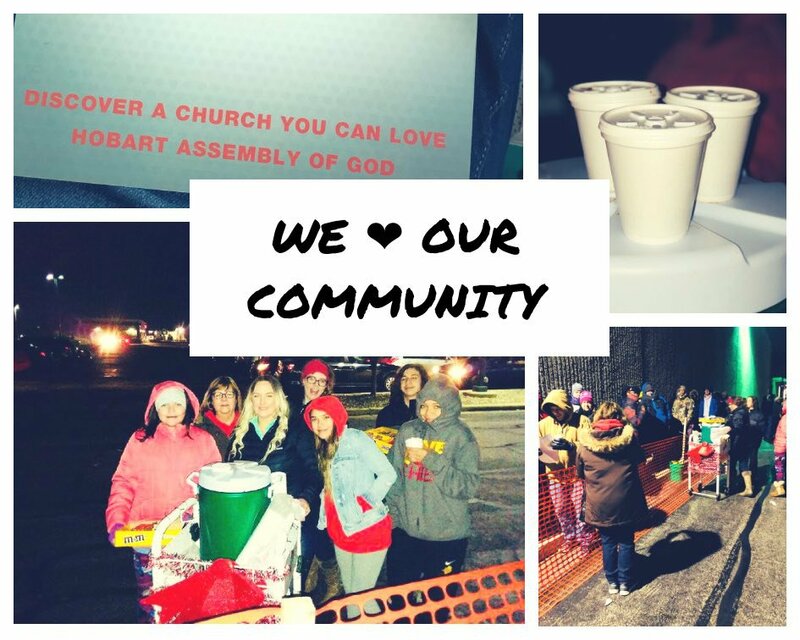 Whether it means through random acts of kindness, serving in homeless shelters, or hosting community outreach events, Hobart Assembly is intentional about making Jesus' Great Commission, OUR MISSION. Would you like to get involved in an upcoming outreach event? We would love to get you involved!